Dr. Summerlin was born and raised in Indiana, Ind. 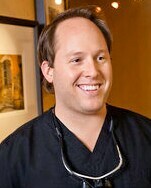 The son of a dentist, Dr. Summerlin followed his father’s career path. He earned his bachelor’s degree in science from Indiana University and his D.D.S. from the Indiana University School of Dentistry. Dr. Summerlin served in the U.S. Navy for three years as a dentist. He also spent two years in private practice with his father. Dr. Summerlin’s wife is also a dentist. Dr. Summerlin joined Konikoff Dentistry after his U.S. Navy buddy Dr. Reichley, who is also a dentist at Konikoff Dentistry, recommended the practice.